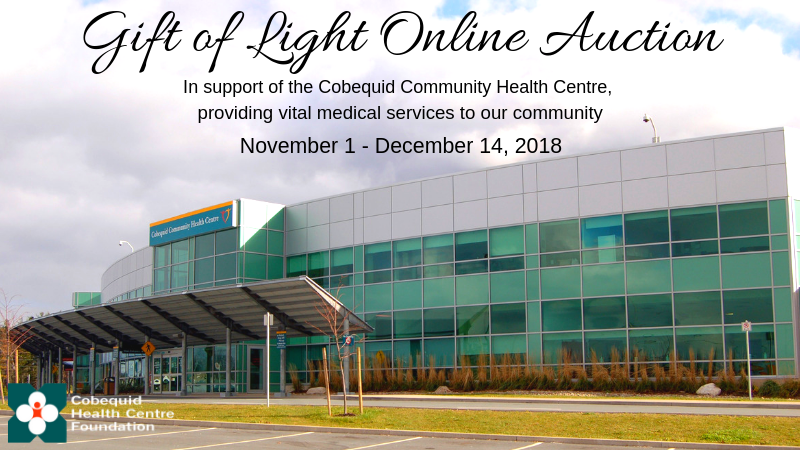 The Gift of Light campaign provides an opportunity to recognize and honor those who made a difference in your life and raises much needed funds for priority medical equipment for the Cobequid Community Health Centre. This campaign includes our annual tree lighting event, and an online auction. A beautifully decorated tree is placed in the lobby of the Cobequid Community Health Centre, filled with stars remembering and honouring loved ones. 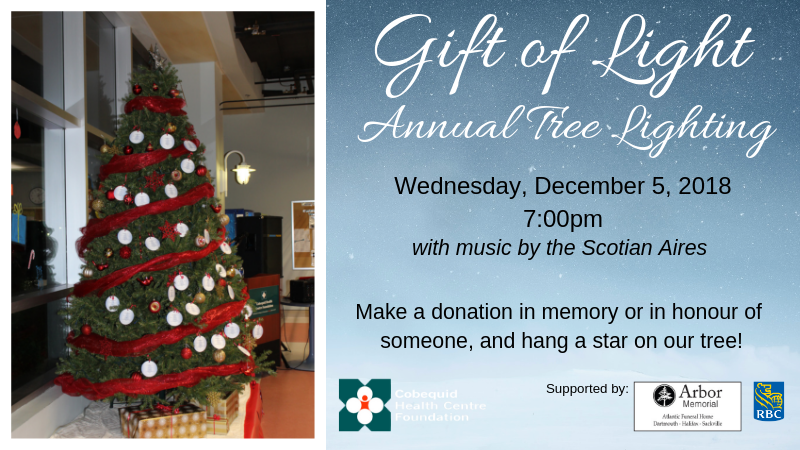 When a donation is made to the Gift of Light campaign, we place a star on the tree with the name of the honouree. This star in honor or memory of a loved one will shine on through the holiday season. A special note will be sent to the recipient or the recipient’s family informing them of the gift. 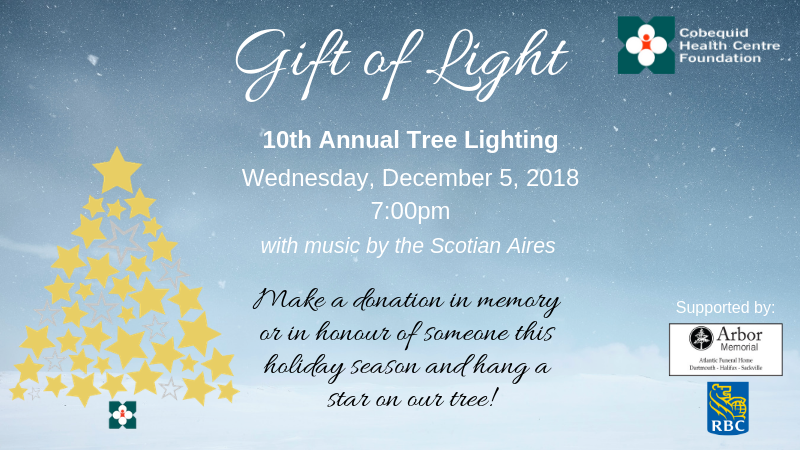 Members of the community are invited to attend the annual tree lighting on Wednesday, December 5, 2018 at 7:00pm. Music will be provided by the Scotian Aires choir, and a tribute presentation will highlight all the honourees. The online auction runs from November 1 to December 14, 2018 and features many wonderful items. The auction allows supporters near and far to participate in this fundraising event. You can support healthcare in your community from the comfort of your home. Items are added regularly, so be sure to keep checking the website!